Due to a new formulation of appropriation categories in the DoD budget proposal, the initial description of the committee’s action appeared to show that the cuts would come from the satellite side of a newly combined budget item for OCX and GPS III. The two previously separate program elements were combined into one in the FY10 budget. This year’s budget request combined the modernization activities into a single $815-million program element called “GPS III Space Segment” — broken out as $390 million for OCX and $425 million for GPS IIIA. Within the program element, spacecraft and OCX funding are segregated by separate budget procurement activity codes (BPACs), a GPS Wing said in response to Inside GNSS inquiries. "The $97.4-million reduction was against the OCX BPAC. It is the intent of the [House Appropriations Committee] that the cut should be taken by OCX." "The OCX program is currently in progress with a major source selection to determine the Prime contractor for Phase B," according to a GPS Wing spokesperson. "Until proposals are evaluated and a winner selected, it is premature to elaborate on specific effects of funding reductions." A separate “reduction” of $307 million from the FY09 level in the House Appropriation Committee’s terminations list is not really a cut. As the OCX program moves towards actual implementation, the president’s budget zeroed out that line item and requested a corresponding increase within the GPS III Space Segment program element. In response to an earlier inquiry about how, if implemented, the $97-million cut might affect the OCX/GPS III schedule, the GPS Wing told Inside GNSS, "Any cuts to GPS SV funding will impact the timeline to field the combined GPS III/OCX system as both segments are on an aggressive schedule to insure constellation sustainment in the years 2014 and beyond. Even without the most recent Congressional action, the program has slipped substantially. 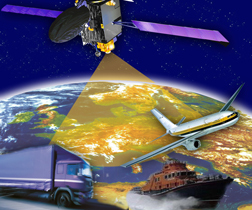 Two years ago, based on GPS Wing projections Inside GNSS reported that the next-generation GPS control segment (OCX) was scheduled to be in place in the 2011–12 time frame to support the GPS III generation of satellites scheduled to launch beginning in 2013. However, two months later Congress cut $100 million out of the GPS III budget in the DoD’s FY08 appropriations bill in the wake of widespread criticism of the U.S. Air Force’s space acquisition efforts, including GPS. Industrial teams led by Northop Grumman and Raytheon are competing for the OCX contract, and the GPS Wing issued a request for proposals for OCX Phase B in May. The GPS Wing nows says that the OCX contract will be awarded in the fourth quarter of calendar year 2009. According to the Wing spokesperson, OCX Block 1 will be fielded in the first quarter calendar year 2014, and Block 2 will be fielded in 2016. The GPS III program passed a Preliminary Design Review in May and is meeting the milestones of its revised schedule, according to the Wing. Lockheed Martin won the contract for the initial GPS IIIA development phase.The President’s FY10 DoD budget request also included $52 million for GPS IIF and OCS development via the Air Force RDT&E program element. The House legislation, however, omits $59.1 million that Obama had requested for the High-Integrity Global Positioning System (HIGPS, also known as iGPS), a program to demonstrate the capability to use Iridium satellites to enhance current GPS navigation and timing capabilities. HIGPS, part of the Navy’s budget for Common Picture Advanced Technology RDT&E, received funding last year from the Navy Research Lab (NRL) after Congress cut $41 million from the FY09 line item. The Boeing Company has a $153.5-million contract from NRL for the HIGPS program, which announced earlier this month that it had reached two key milestones. The Department of Transportation FY10 appropriations bill H.R. 3288, adopted July 23 by the House, includes $43.3 million for the cost of civil requirements for GPS modernization and allocates $92.6 million for the Federal Aviation Administration’s Wide Area Augmentation System (WAAS), $4.8 million less than the president requested. Another $7 million for the Local Area Augmentation System and $4.6 million for the inland portion of the Nationwide Differential GPS system is included in in the measure, which is now in the Senate Appropriations Committee.